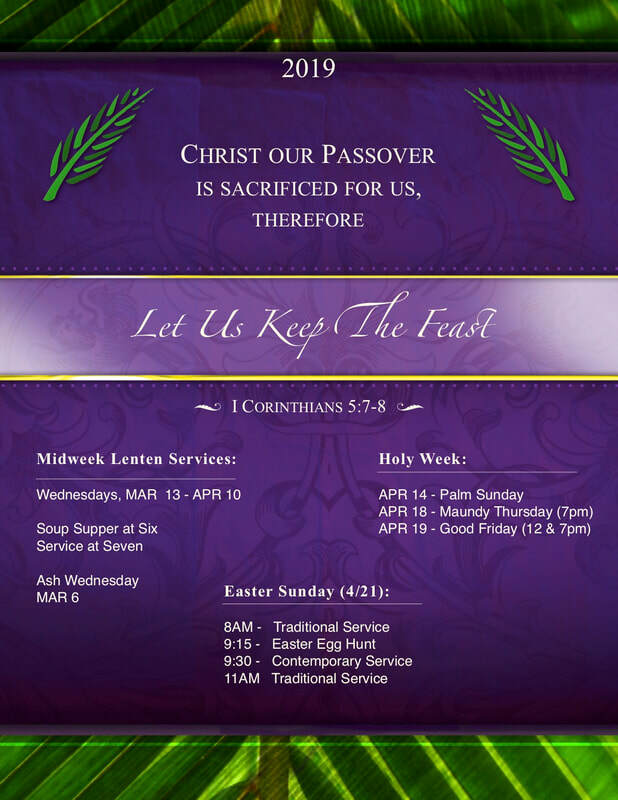 Maundy Thursday - This 7pm service in our sanctuary includes Holy Communion - done a little differently this year. We will practice a "constant communing" where people continually come up and kneel at the Altar and leave when they are ready. Then only one table dismissal blessing at the very end will help speed things up in preparation for the Easter crowds. Easter Sunday - Services at 8, 9:30 11am with a 9:15am light brunch & festivities including an Easter Egg Hunt for the kids. Please join us & invite a friend for the highest festival season of the year!